In Q1 alone, eight sites were sold en bloc for $2.32b, higher than the $1.05b total in 2017. Eight sites worth $2.32b in the prime Core Central Region (mainly Districts 9 and 10) were sold en bloc in Q1 2018 alone, higher than the eight transacted for $1.05b in the entirety of 2017. According to real estate consultant Colliers International, this reflects a shift from suburban to prime sites in the collective sale market. The proportion, by value, has jumped to 40% compared to just 13% in 2017. Colliers expects sites in the prime areas to continue to find favour among developers in tandem with sales and price recovery in the high-end residential segment. The top three collective sale deals by value transacted in Q1 2018 were: Pacific Mansion in River Valley at $980m – also the largest since 2007’s Farrer Court, Park West in Clementi at $840.9m, and Pearl Bank Apartments in Outram at $728m. Colliers managing director Tang Wei Leng noted that larger sites will continue to appeal to developers. “Bigger plots allow for more functional facilities and lavish landscaping, a luxury many smallish projects in prime locations are unable to offer. Young families, local and expatriate, increasingly appreciate more sizeable and spacious residential developments that offer recreational as well as social areas where residents can mingle and build bonds, complementing the modern efficient housing formats,” she added. The positive momentum rides on the continued recovery in the property market and brighter economic outlook, amidst healthy home sales and rising confidence among developers. According to Colliers, 17 residential collective sales which amounted to $5.83b were transacted – up by 29.3% from $4.51b worth of deals done in Q4 2017. There were no residential collective sale transactions in Q1 2017, however. The value of deals already accounted for 71.7% of the $8.13b from 27 residential collective sale transactions in the whole of 2017. “With a large pipeline of developments – estimated at 140-150 sites - at varying stages of the sale process Colliers believes this year’s collective sale transactions will trump that of 2017,” Colliers added. Moreover, of the 17 successful en bloc deals in Q1, 10 were done at 0.7-26.7% premium over the owners’ asking prices. 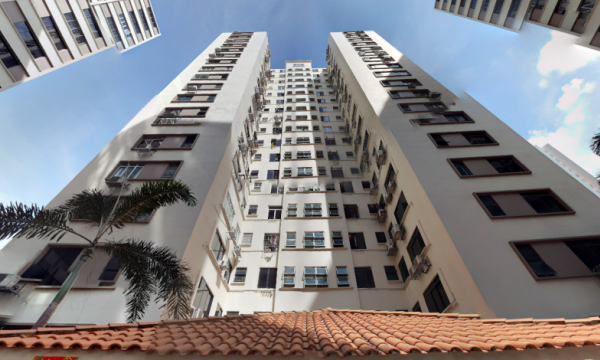 The highest premium belonged to Fairhaven at Sophia Road which was sold in March to a subsidiary of Singapore-listed Lafe Corp for $57m – 26.7% over the asking price of $45m. 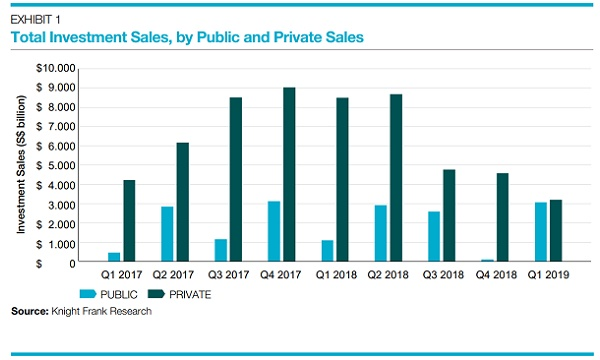 From January 2016 to Q1 2018, there were 47 residential collective sales valued at $14.97b, which represented 68.7% of the $21.8b in deals done in the previous collective sale cycle in 2005-2007.